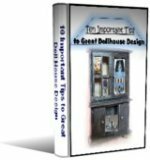 People engaged in the Miniature Hobby need online dollhouse resources these days. And for us who pursue this particular craft we are able to find a huge amount of information right at our finger tips. Any help you find is decidedly worth the search at any search engine! Your computer keyboard is an excellent means to teach you the finer details of Dollshouse Creation. 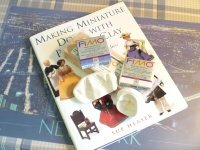 Interested in online Miniature Workshops? Generally speaking a Miniature Enthusiast can find help on just about any area they wish to pursue. Also if they link up with the right sites online they will find them more than willing to cater to their needs. The more you can acquire knowledge .. The more confidence you will have in any area you desire to pursue. So yes you are one of your best doll house resources. Even if you think what you know is lacking there is always one truth to hold on to. You CAN always get better at knowing how-to do anything. Like for instance in the area of designing your miniatures. You can study and implement any idea you come across. So as you work away at little areas you soon realize that you are doing better and becoming your own force to be reckoned with. Never sell yourself short on your own abilities. You may just surprise yourself. 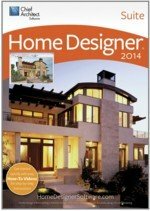 If you are wanting another area to help in teaching yourself more about designing your own mini plans by all means check out Home Designer. You will definitely come away with even more knowledge to help you do what you truly want to do. Continue to grab all the information you need. Wherever you see it presented. Even in the large scale. In books and online forms. Use what you see and know about in large scale to fuel your ever growing, expanding design capabilities. An Array of Online and Offline Info ..
Go to How-to Books page. Go to Trade Shows page. Get my FREE E-Book here. In written word form there are a huge amount of ideas and inspirations to be found ...in your local library, e-books available online and from bookstores of every type and description. Specialty books, magazines, projects, articles... are but a few of these types of helps. At-the-Doll-House.com is your doll house source of continued encouragement to you as you pursue what interests you have in this amazing Hobby. One of the areas I highly recommend you get involved with is an excellent dollshouse forum where you can find people of like mind who not only share your passion but also understand your frustrations. But then going offline we can again encounter a vast array of help available for the enthusiast. The unfortunate aspect of offline dollshouse information however is that they are spread out so far apart that you'd have to have an enormous budget for your pursuit of the offline offerings. Check out this link to download my free E-Book titled "10 Important Tips..."